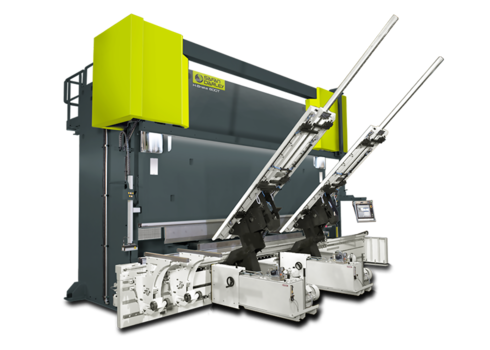 The E-volution in sheet metal working continues to progress towards a factory that is fully controlled and managed digitally. 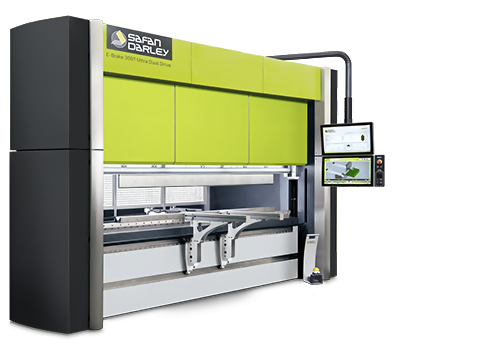 At FABTECH 2018, SafanDarley will present the latest innovations in sheet metal working, with a focus on Automation. 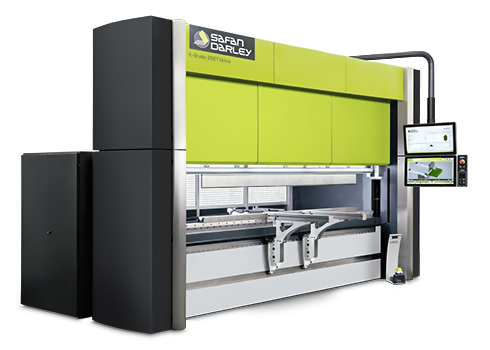 SafanDarley will focus this FABTECH on automation. 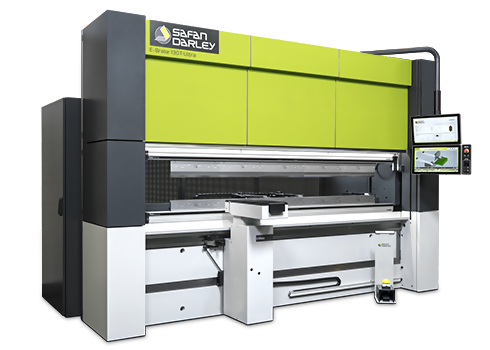 In addition to a range of stand-alone machines, such as Electronic and Hybrid press brakes, SafanDarley will present an automatic bending system, the R-Brake and a semi-automatic press brake, the E-Brake iTC, which has been expanded with an automatic tool changer. 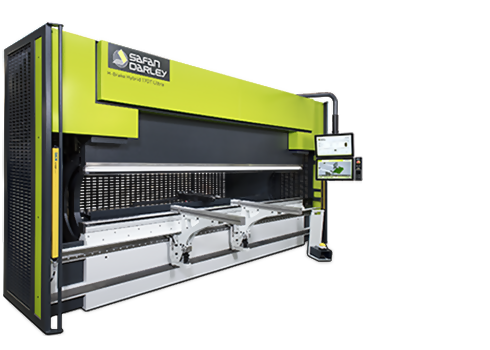 This tool changer automatically places tools in the machine, adding efficiency without the press brake occupying additional floor space. 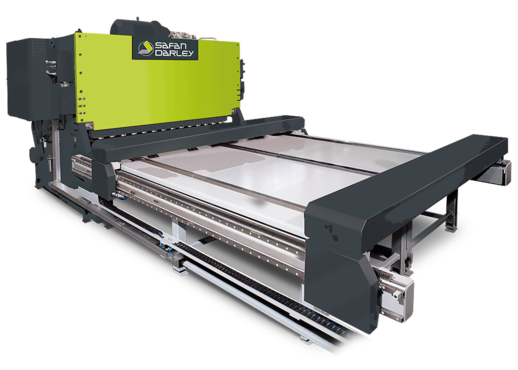 The SafanDarley R-Brake is a revolutionary bending cell concept based on the SafanDarley E-Brake Ultra press brake. 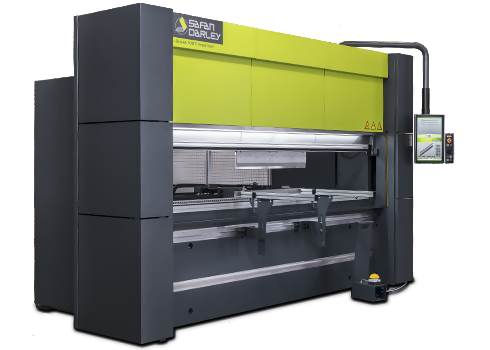 In the SafanDarley R-Brake, the press brake and robot are integrated into one system. In addition to advantages, such as completely clear floor area in front of the machine, the R-Brake can be equipped with an automated tool and gripper changing system. This also makes the R-Brake suitable for smaller batch sizes. 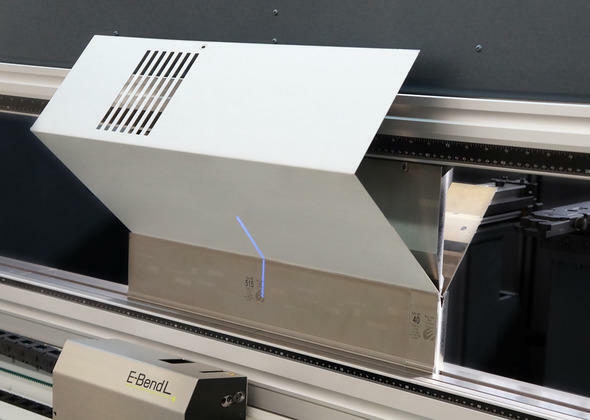 It’s also possible to switch quick and easy to manual bending. 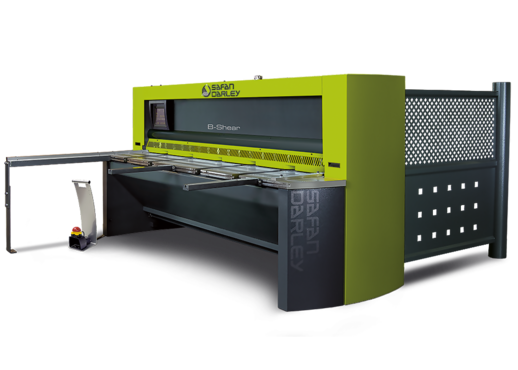 During FABTECH, SafanDarley will also present the high-end press brake, the E-Brake 130T Ultra. 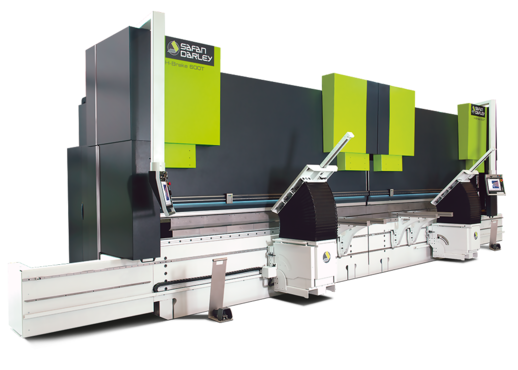 The Ultra series comes standard equipped with CNC crowning as well as a dual touch screen monitor to create a paperless environment. 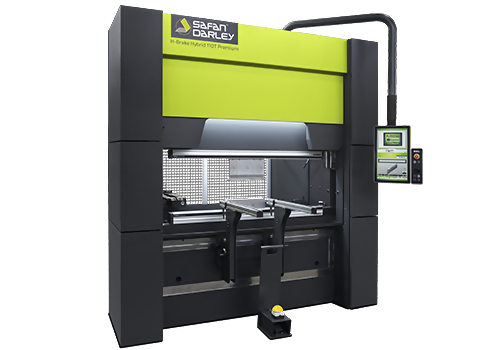 The E-Brake 130T Ultra on the FABTECH is equipped with the optional E-Bend L Blue angle measurement system to work even more accurately and efficiently. 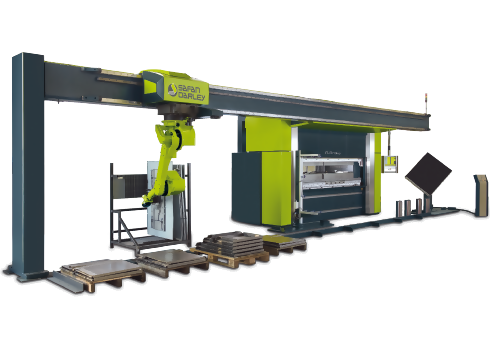 The system constantly monitors and corrects the position of the Y axis based on the current product angle. 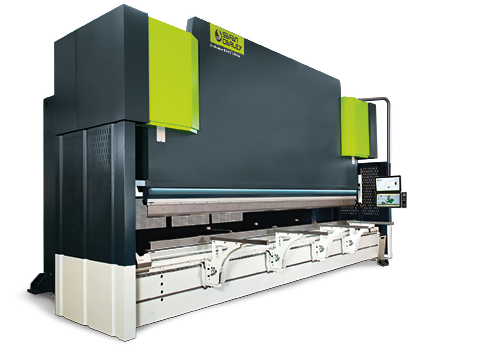 This guarantees a final product with the highest angle precision. 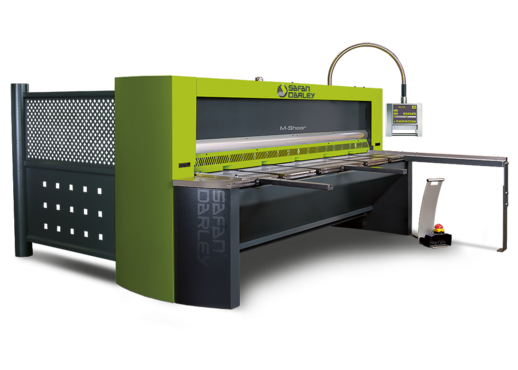 The fourth machine SafanDarley will present is the H-Brake Hybrid 110T Premium. 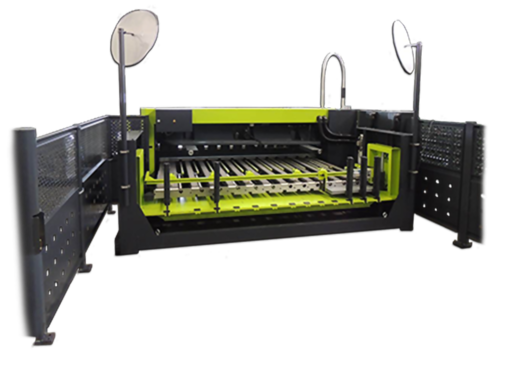 This compact machine is specially designed to achieve higher tonnages on a short working length. 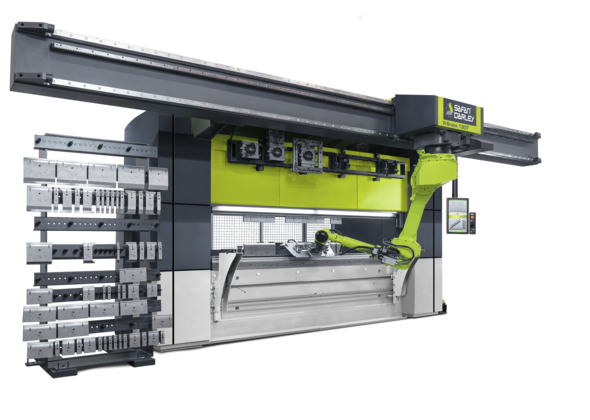 The base is O-frame technology from the E-Brake range, ensuring a stable structure with minimal deflection. 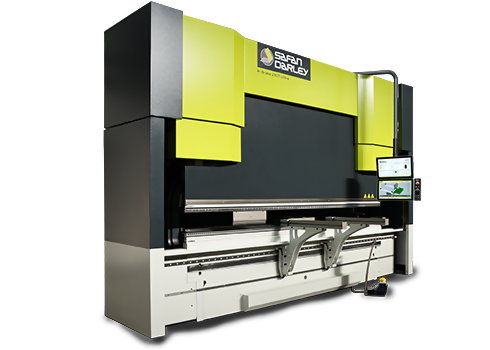 It is powered by energy-efficient hybrid technology, creating a compact press brake with a very high tonnage density. 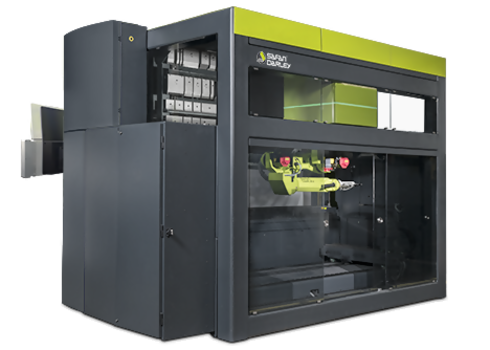 On the SafanDarley booth, we will be providing AutoPOL software demonstrations. 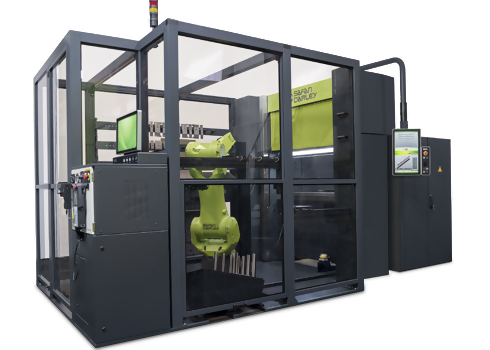 Smart bending with the innovative AutoPOL 3D-offline programming software guarantees complete and reliable process control. 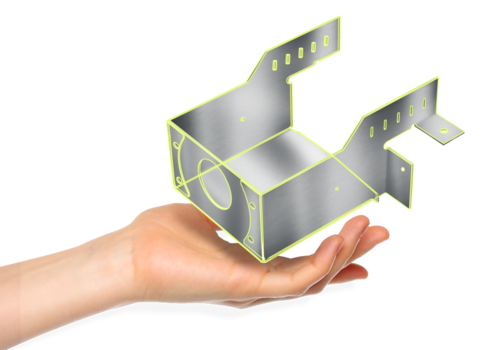 From 3D design to production in just a few steps.